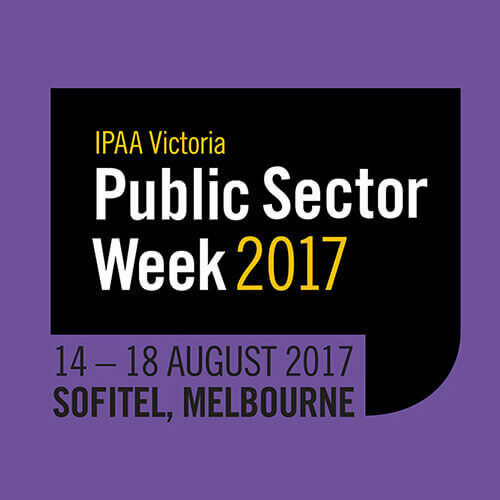 IPAA Victoria Public Sector Week 2017 is the only event that brings together the entire Victorian public sector in one location to drive fresh thinking and a create a better future for all Victorians. 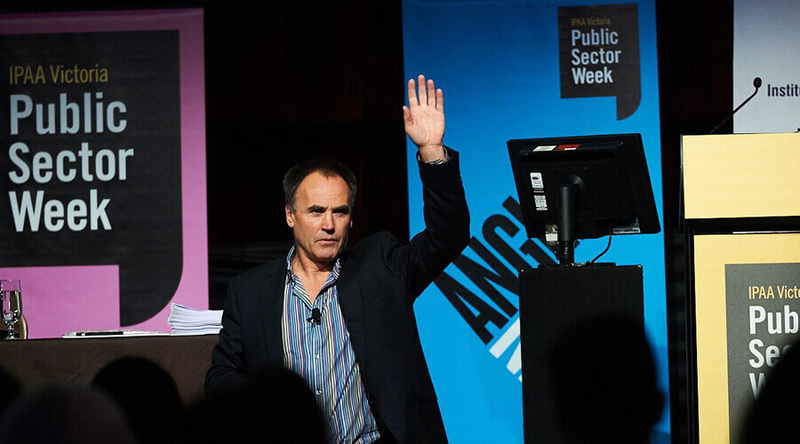 The event provides a unique opportunity to connect with thought leaders across the public sector and all tiers of government to debate the big issues facing the community, and cultivate new ideas and opportunities. 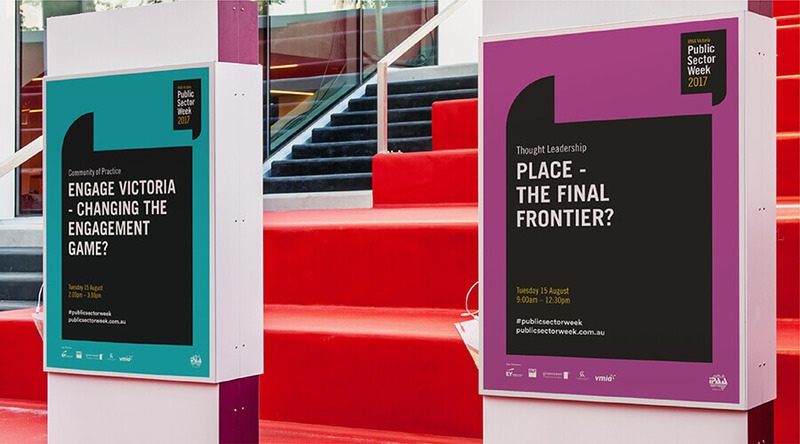 Truly Deeply were engaged by IPAA to develop a brand identity for the event along with event marketing and activation collateral. 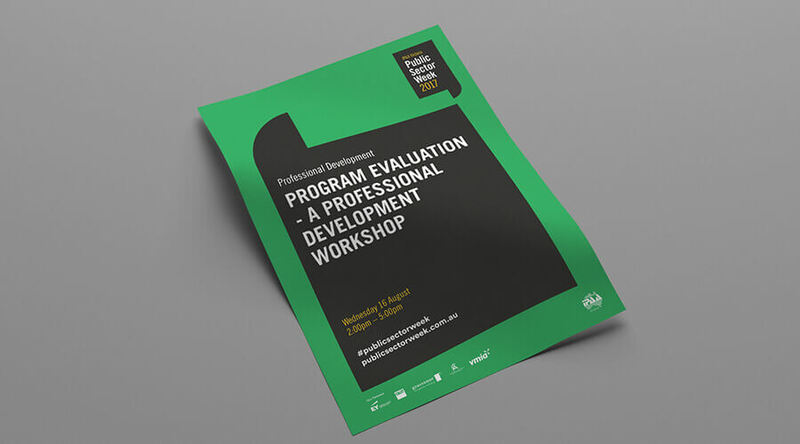 IPAA were looking to re-energize the event after a period of declining interest and attendance. 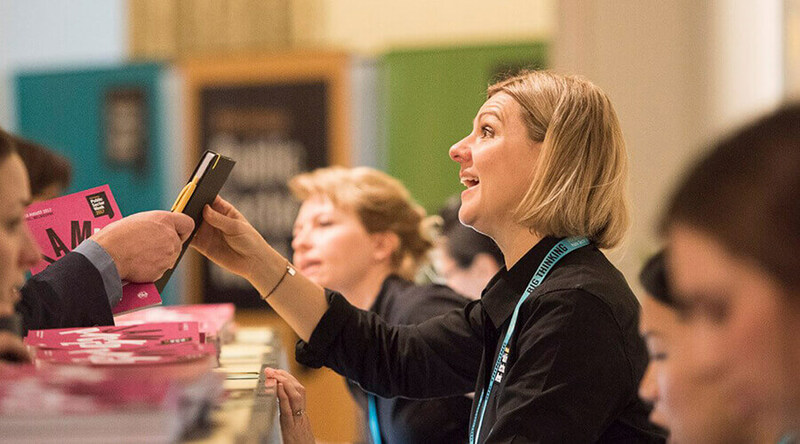 The previous event’s branding and marketing had failed to communicate the spirit and quality of the event and as a result failed to capture the attention and imagination of the market. 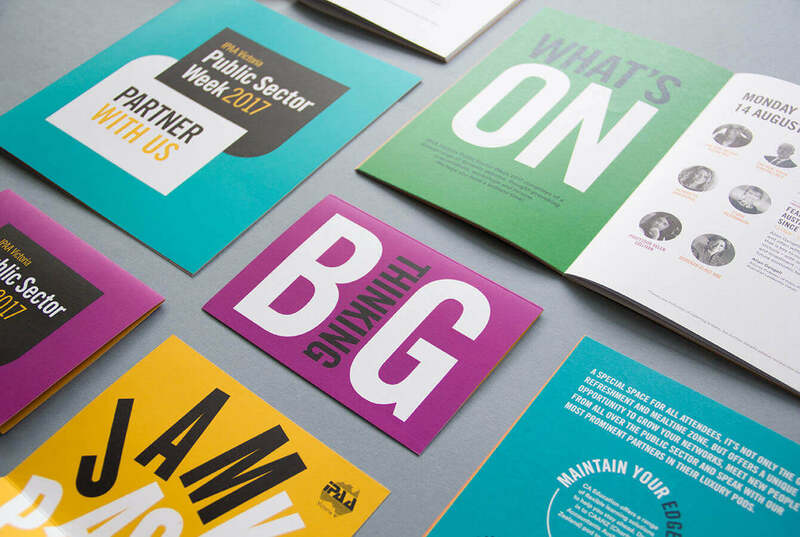 Our brief was to develop an identity system that better represented the value proposition of the event and stood out in the market to firstly be noticed through the clutter and secondly position Public Sector Week as a must attend event. 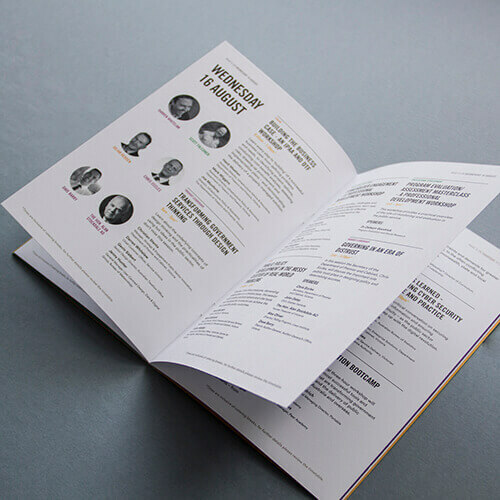 The design strategy could be summed-up in two words; Big & Fresh. The event was about big ideas. 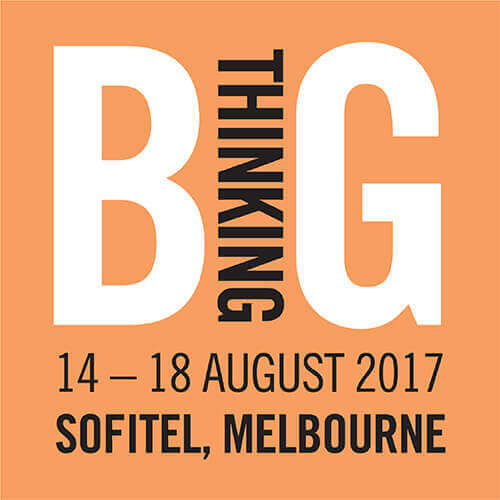 Big ideas to discuss, debate and communicate. Ideas, thoughts and connections that have vibrancy, relevance and scale. Ideas that are fresh, vibrant and have an energy to them. The event personality was defined as being: Professional, Exciting, Fresh, Innovative and Progressive. 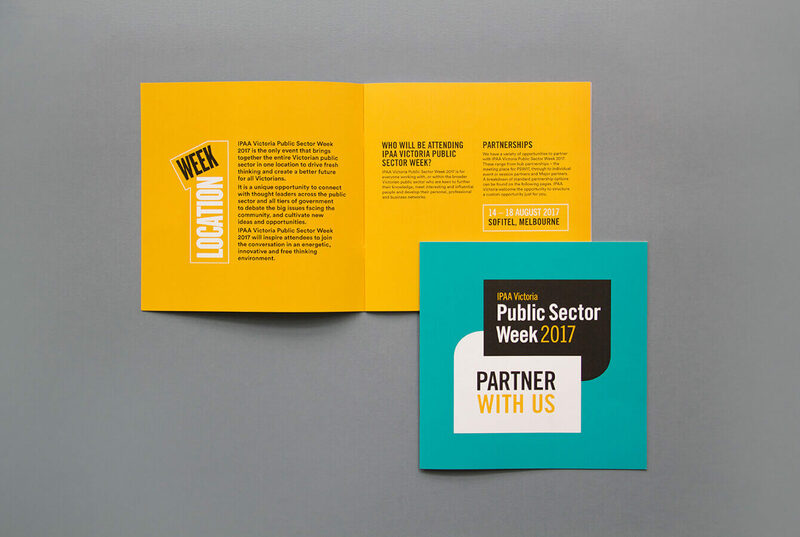 We developed a strong bold type mark contained in a quotation mark/inverted comma framed everything Public sector week is about: Driving fresh thinking and inspiring change. 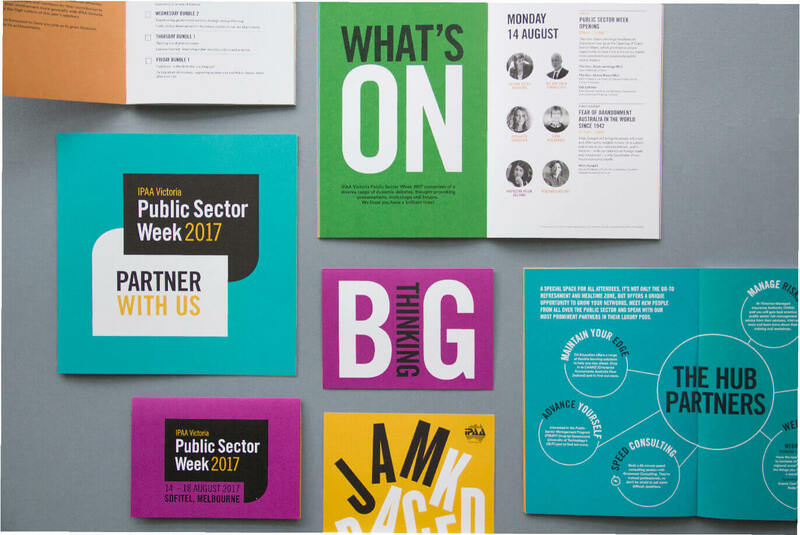 Paired with an energetic colour palette with contrast and punch the visual language of this brand uses a illustrative typographic style to express the cornerstone ideas that make Public Sector Week a success: Big Thinking, Jam Packed, 1 Week – 1 Location, Connected, Big discussions, Forward Thinking. 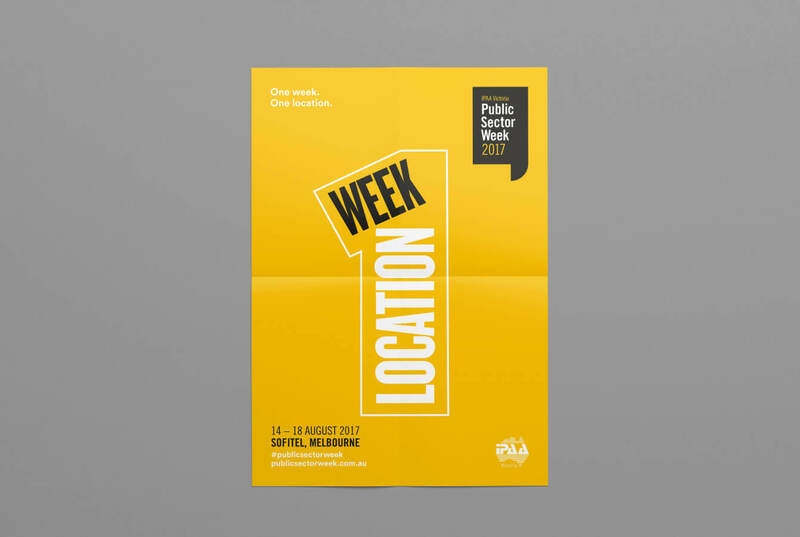 These elements combine to create a simple flexible identity that created cut-through to promote the week, successfully communicating the breadth and depth of the event and created a unified coherent brand to reinforce the event’s value to the industry.